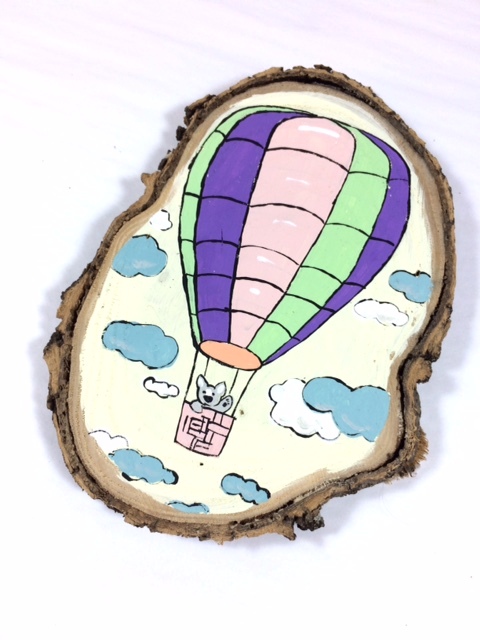 I finally made a decision about what to paint on my unique wood slice: a little gray fox waving good bye in his hot air balloon. I imagine he's on his way to the Emerald City, just like the Great and Powerful Oz. In other recent news, we had a little dragon baby for Halloween. Maura loved trick-or-treating, which mostly consisted of her smiling at family members, and graciously accepting their compliments about her cuteness.